I have stayed at the Alto 5 times now, including for business and personal reasons. It's consistently great and my 1st choice Melbourne accommodation venue. We really enjoyed the stay. A very comfortable room, very quiet and great facilities, including Foxtel. Excellent breakfast, well priced with free wifi, what more do you need? Fantastic, just what I was after. Was awesome! Great location to everything! We went to Etihad stadium to watch the football and was only a 2 minute walk after the game. close to southern cross station as well! Very quite for the location as well! Had a wonderful stay. All staff members were very accommodating. Looking forward to our next visit. Thank you. Love the rooms, locations, breakfasts and the massage chairs!!!! Clean, comfortable stay in small but modern and well appointed room. Surprisingly good food in the tiny bar, considering the price point of the hotel. The endless coffee is a nice touch. Front desk is friendly and efficient. I'm writing this on behalf of my parents. They loved the location. For me, I loved the price which includes breakfast. This is the third time I have stayed here and it just gets better. Fabulous hotel. I'm booked I again for a few days in early July and can't wait. Wonderful hotel with friendly helpful staff. I miss it already! I've stayed at the hotel several times in the past and it's always just what I want. Staff friendly. Food lovely. Thank you. Friendly polite helpful staff. Lovely food and complimentary hot drinks. Gorgeous rooms and overall excellent hotel! 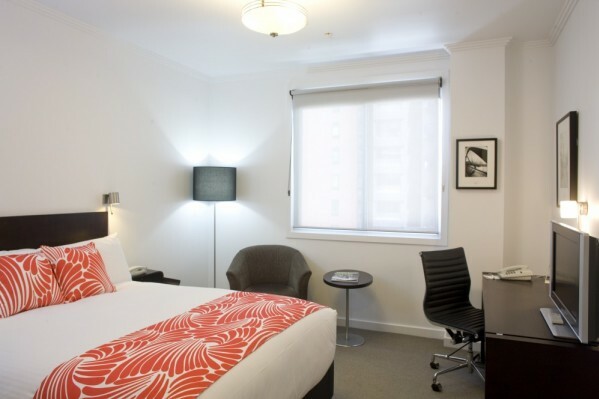 The Alto is my home away from home and the first place I choose to book when visiting Melbourne. The staff always go out of their way to make me feel welcome and nothing appears to be too much trouble. The rooms are impeccably clean and very comfortable I cannot recommend The Alto highly enough. Friendly, helpful staff and cosy atmosphere was appreciated instead of detached, clinical service at larger hotels. It was great to be able to stay at an eco-friendly hotel but still have all the necessary comforts. My only issue was the noise, previously have stayed in spa room before & was excited to be again..but don't think i would again the street noise was unbearable... previously I was on a higher floor & noise wasn't am issue. Very comfortable. Location is excellent for what I needed - close to trams & trains. Friendly & helpful from all staff. Good breakfasts. We were very pleased with your hotel and enjoyed our stay. The facilities inside the room is very good. I like that it is environment friendly. Had a very pleasant stay. It meet our needs. A very convenient location being close to Southern Cross station and tram stops. Staff were very friendly and helpful. The apples in the foyer are a nice touch. We only had one night in Alto but wished we could stay longer. Will definitely stay here next time we're in Melbourne. We were so impressed with the quality of service and the cleanliness and design of the room. We spend a a night in town a couple of times a year, trying many different hotels and are often left disappointed. The stay at the Alto was the opposite. The staff on the desk were so very helpful as were the breakfast staff and everyone else we encountered. Thank you for a wonderful stay. We love this hotel, though did find the petite queen a little small for two. Main issue was nowhere to put our suitcases without tripping over them. Otherwise it was perfect. Reception staff were very helpful particularly with directions and when we were having issues getting a taxi. Unit was spacious, well equipped and spotless. Had breakfast at hotel which was excellent and good value. Overall very enjoyable stay. Excellent and friendly staff. The extra facilities (e.g. free Wi-fi) are greatly appreciated.